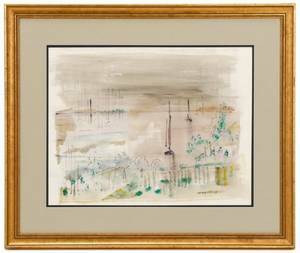 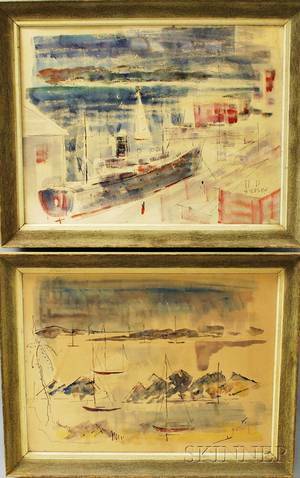 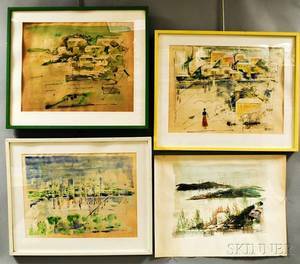 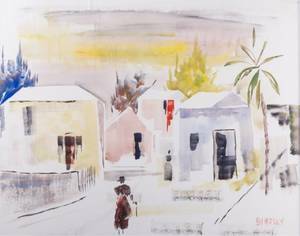 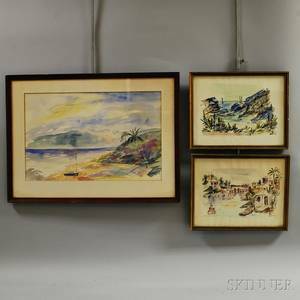 Alfred Birdsey (Bermudian, 1912 - 1996), "Sailboats in Harbor", watercolor on paper, signed lower right "Birdsey". 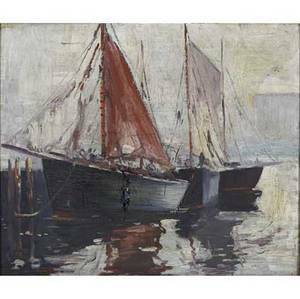 Abstracted seascape painting depicting sailboats in harbor with gray overcast sky overhead. 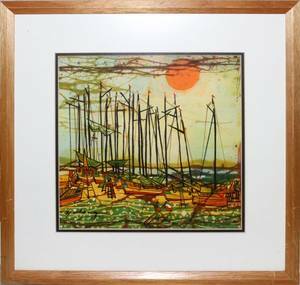 Framed approximately 24.25" x 28.4". 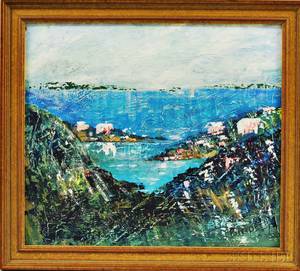 Sight approximately 15.5" x 19.75". 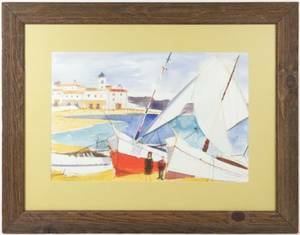 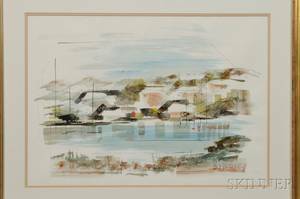 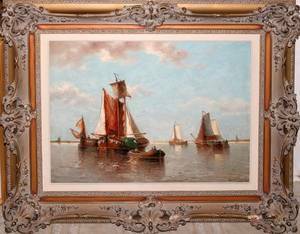 Charles Levier, Watercolor, "Sailboats in Harbor"
Alfred Birdsey (Bermudian 1912-1996) Harbor View.